November 10 – The Houston Arts Alliance (HAA) strives to advance the arts in the Houston region. And in the Fall of last year the HAA received the National Endowment for the Arts’ Our Town grant award for creative placemaking (Houston was the only Texas city to receive this highly sought after grant). With this award–and also with the participation of countless volunteers, arts partners and community partners– Transported + Renewed came into fruition. The Latino Music Series, featuring such acts as Osvaldo Ayala, David Lee Garza and Celso Pina, ended yesterday. But there’s still plenty of things to do during this wonderfully vibrant event that’s taking place in EaDo right now. On the horizon is one more T + R parade (the last one out of three): the Around! A Parade on Wheels will be a procession of all things on wheels — from art cars, SLABS (Slow, Low and Bangin’), low-riders, cyclists, skaters, paleteros, and so much more. It will be this Saturday from 11 am to 1 pm on York Street and Sampson Streets between Preston and Engelke streets. Shout out to the ever-fantastical Orange Show Center for Visionary Arts and also the Houston Chronicle for co-sponsoring this zaniness. If parades aren’t your thing, how about a multi-sensory nighttime party? The Buffalo Bayou Silos Series is a mixed media event featuring a series of projections onto the silos of N. St. Charles and Kennedy streets coupled with performances by FrenetiCore Dance and guest artists. The Silos III: comunidad & matriz (x) will be on Saturday, November 22 at 7pm and is sponsored by the Buffalo Bayou Partnership. And there’s still plenty of ongoing activities, such as the Hear Our Houston East End Walking Tours audio walking tour. Participants of the tour take a walk through the city while recording their thoughts, observations, anecdotes, and memories, archiving local knowledge along the way. Downloadable tours for MP3 players are accessed via HearOurHouston.com (for free), allowing you–the listener– to retrace the tour maker’s steps, layering meaning onto geography while virtually walking in someone else’s shoes. Nameless Sound and British sound artist Kaffe Matthews collaborated with local EaDo residents, writers, musicians, and programmers and equipped bicycles with speakers that react to GPS coordinates. The bikes will be available for public use indefinitely at the Ripley House. 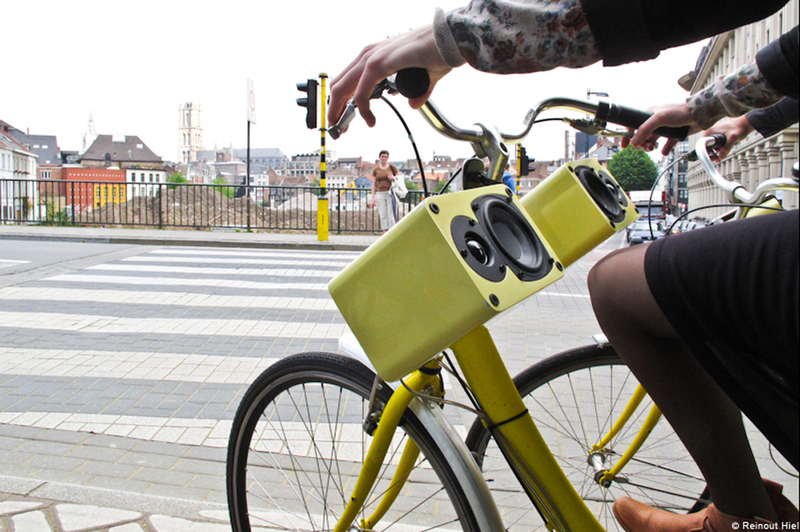 As you pedal through the city, you can create a music composition that changes depending on where you are and how fast you pedal. There will also be sound cues that will coerce you to go faster, slower, stop, spin in circles, cruise certain paths to find “sonic treasure”. We can’t tell you what that means (because we’re not entirely sure). But that’s more incentive for you to go down there and check it out!